Although we can provide you with a PC with R, JAGS, and WinBUGS, we advise you to bring your own laptop. Note that Matlab is not available on the workshop PCs. Please make sure to have JAGS/WinBUGS and R/Matlab installed and running on your laptop before the first day. Mac and Linux users are advised to use JAGS instead of WinBUGS. Mac users who prefer to use WinBUGS are advised to have WinBUGS and WINE installed and tested in combination with R or Matlab (this can be quite difficult sometimes!). For some tips on installing WinBUGS on a Mac, see http://helensteingroever.com/. Our workshop Theory and Practice of Bayesian Hypothesis Testing: A JASP Workshop takes place the week before. Sign up for both workshops now and receive a 100€ discount on the registration fee! Participants are invited to present a poster introducing their research topic. The poster session will be held on Friday (August 30) between 17.00-18.00 at the workshop venue. The conference venue is not associated with a particular hotel, therefore no specific hotel arrangement is made. Please check below for some hotel and student hostel recommendations. 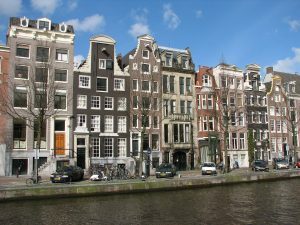 We advise you to book early, since August is one of the busiest months of the year in Amsterdam. You will spend most of the day working through the course book. The lectures (about two hours per day) will be given by Michael D. Lee and Eric-Jan Wagenmakers.